Wondering how to clean brass that is heavily tarnished? Today’s tutorial shows you the best way to clean brass that is antique and to keep the brass from tarnishing again. I am thankful to receive comments and questions from DIYers who started out just like me with a problem that needed fixing. Today’s post is in response to a reader question I received some time ago about how to clean brass that has been heavily tarnished and showing its age. 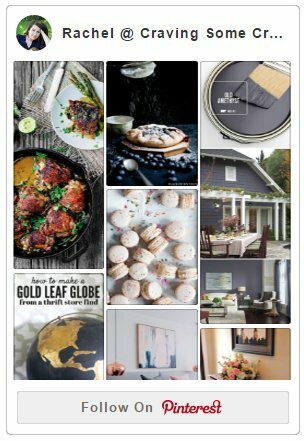 Solid brass is making a comeback in home decor and furniture refinishing. 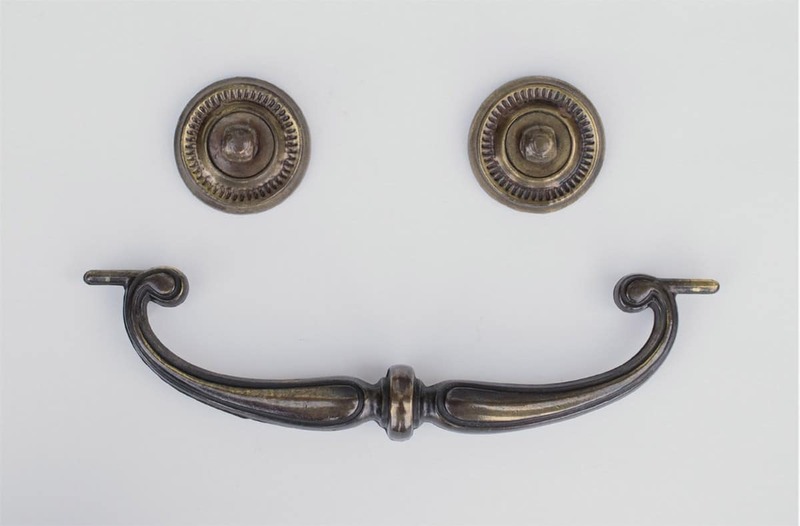 It seems that a lot of our thrift furniture finds have beautiful but tarnished solid brass handles such as the desk makeover I shared in my husband’s office. There are several methods for cleaning brass that I have heard and I have tested each one with mixed results. I have heard of using ketchup to clean brass and I have never gotten the results I would hope for. So let’s get right to the method I use to get solid brass bright and sparkly and golden. Dissolve 1 teaspoon of salt into one-half cup of vinegar, and add flour until you make a thick paste. Coat the brass with the paste mixture and let sit for at least 10 minutes. For heavily tarnished brass, I have left this to sit several hours with no repercussions. I like to use this method as a precursor to step 2. 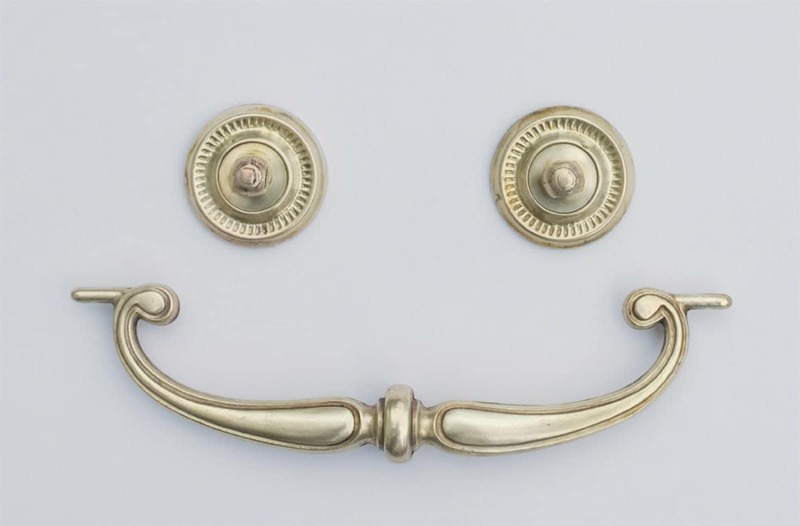 If doing several pieces, such as these brass handles, save your hands from all that scrubbing. This method eliminates some of the scrubbing but may appear to discolor the brass to a rose color. Brass is essentially composed of copper and zinc, although the ratios may differ. The flour method may oxidize some of the zinc out of the surface of the brass, which causes the rose color as seen above. No worries though, a good buffing will work all of that out. Brasso and Bar Keepers Friend are two excellent cleaners to polish up and clean the brass to a nice shine. I tend to prefer Bar Keepers Friend because it comes in a powder form and I can make a thicker paste. Test in a small area at first to make sure it isn’t too abrasive. Using a toothbrush, scrub the paste all over the brass. This may take a few minutes to get in all of the details of the brass. Make sure after you remove any residual cleaner with soap and water once it is beautifully shiny. Thoroughly dry each piece as well. Of course, the brass will once again dull and tarnish over time as it is exposed to air. In order to make the brass easier to maintain, you can use a UV resistant clear lacquer as a protective finish. Make sure that whatever brand you use, that it will not discolor with time. And that’s pretty much the extent of it! If there is something you would like to see, comment or feel free to email me. As I said, I love the questions and comments I receive from you. Until then, have a great week! Norwex Cloths : Are They Worth It? This is exactly what I needed! I bought a set of cute brass candlesticks at a garage sale, but you can barely see them under all the grunge. Now I know how to fix that! Wow, what a difference! I love your feature image too, very cute!